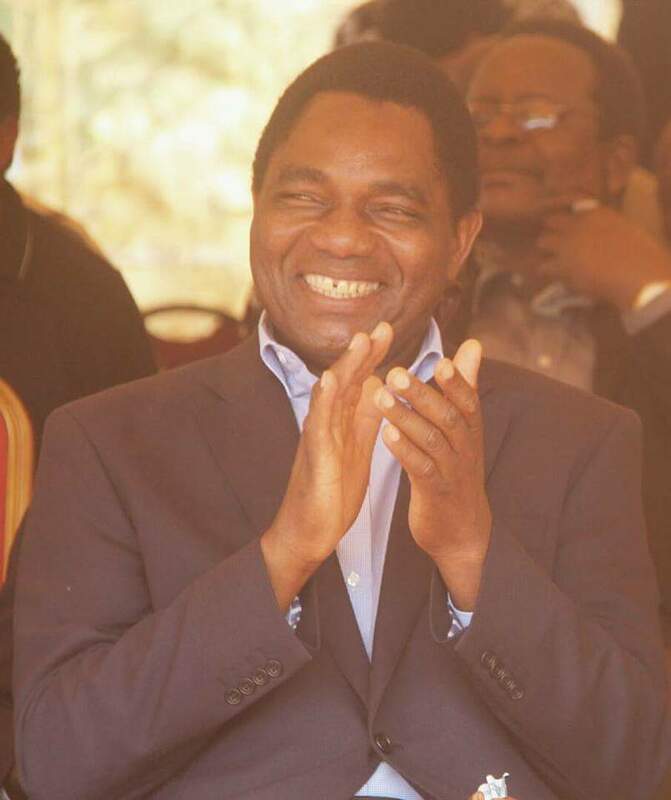 UPND president Hakainde Hichilema has vowed that he is going ahead with the election petition contrary to reports making rounds that he has given up. Hichilema or HH as he is commonly called says the political dialogue being spearhead by the Commonwealth that saw him being freed from trumped up treason charges has got nothing to do with him challenging President Lungu’s election. There have been reports that the Commonwealth General Secretary had persuaded HH to forget the 2016 election where he is alleging that his votes were stolen and instead focus on enhancing the governance systems to create confidence for the 2021 elections through a dialogue with President Lungu. But HH who is in the High Court that his right to be heard in the presidential election petition was violated by the Constitutional Court says the election challenge will not be withdrawn. The UPND Strongman says the dialogue has to address the restoring of people’s human rights and giving credence to governance institutions which he says have been compromised by the Patriotic Front (PF). HH said this in an interview at St Joseph Mukuni Parish on Sunday after a church service. He was at Mukuni Village to attend the Lwiindi traditional ceremony and the celebration of his release from Prison. HH’s presidential election petition was dismissed on technicalities after the 14 days allocated to hear the presidential election petition lapsed. That is the way to go HH. U should never give up on the 2016 Election Petition otherwise 2021 Election is as good as rigged. The Petition must be heard so that we know the irregularities and illegalities committed during the 2016 Elections by ECZ,ZPS,Concourt,ECL etc. Electoral Institutions can only be reformed if we know the wrongs committed by ECZ,Concourt,ZPS etc during the 2016 Elections.We want to know why the Petition has not been heard,why Emmanuel Chavula was allowed to change election figures in favour of ECL, why ECL refused to handover Power to the Speaker of Parliament,why the Petition was dismissed on a time technicality when Concourt has no powers to do so. Clearly the 2016 Election was not conducted in accordance with the Zambian Constitution and Electoral Act. Just like in Kenya the Petition must be heard.Until then Edgar Lungu will remain illegitimate and in State House illegally. deliberate oversights, abuse of office, isms……list more! If this done 2021 will be under a microscope not binoculars. dull tongas!!!! !honestly hh should sober up and face reality more especially this dull followers from the southern region. petition case was thrown out by the constitution count cause of hallucinating hyenas(HH) dull laywers who didt understand the meaning of 14days..
Will someone tell HH to ask one of his legal minds to issue a legalistic statement on this nonsense? You are worse than a wild animal! Zebras impalas buffalos….graze side by side without segregation! But a human being here, is openly insulting all tongas because he is of a different tribe, which happened not by his efforts but by the creator! This is as good as insulting God who created us the way we are!This is how low a human being can sink by deceiving himself he is better than others!! Tomorrow you in front saying is a “christian nation”! Shame on you!! Devil! 1. Hw many provinces voted 4upnd? 2. Wat r the names of the provinces 2the answer above? 3. Hw many mps were voted 4upnd? 4. Frm hw many provinces do these mps come? 5. Wat r the names of the provonces in question (4) above? 6. Does the number of provinces in favour of upnd make a quorum as compared to the total number of provinces in zambia? 7. We saw terrific figures coming frm the provinces he comes frm, does it mean thoz figures were also tempered with? 8. Why ddnt ecz, ecl, etc alter thoz figures ckz they were too high? 9. If he had won in the remaining 7provinces, where r his mps then, does t mean the 7provinces voted for hh as president and PF MPs? 10. Is this man hh better or bitter? Lets use our common sense and advise our opposition leader correctly coz dis wont take him anywhere near state house. Pipo voted period! @Truth pains.If Lungu indeed won the 2016 Election why doesn’t he prove this in Court? Lungu wants HH to withdraw the Petition from Court and recognise him as a Legitimate President. if that is so why is Lungu blocking the Petition Hearing?In Kenya a similar Petition has just been heard and the Supreme Court has declared the Election of the President Elect invalid,Null and Void becoz that Election was not held in accordance with the Kenyan Constitution and Electoral Law. The Kenyan Electoral Commission (EIBC) was found guilty of committing numerous irregularities and illegalities.There were more irregularities and illegalities in the Zambian Election than in Kenya So why is Lungu protecting ECZ,Concourt,High Court etc? Let the Petition be heard in Court and set Lungu free. This Petition is haunting Edgar Lungu big time.Its in Lungu’s interests and Zambia’s interests that this Petitioning be heard no matter how long it takes. As long as the Petition is not heard in Court Lungu will stew in illegitimacy with dire consequences when he finally leaves office. No Petition Hearing.No Recognition. Period. Hearing a Presidential Petition is a Constitutional requirement. There is no legal provision for Concourt to “dismiss”the Petition. Concourt’s mandate is to hear,determine and pass a Judgment. This Concourt did not do and is legally and Constitutionally required to hear the Petition.Hearing the Petition means the Petitioners and Respondents giving evidence in Court. Without Hearing the Petition Lungu will remain illegitimate and is in State House illegally. This means that Lungu committed Treason. When Lungu leaves Power he will be in soup for committing these irregularities and illegalities during his reign. It is true that many pipo in some province do not know the meaning of majority. They think it is the TRIBE. NO NO. Waste of time for 2016 past deeds. You will remain backwards forever. The Bill of Rights is Universal and it is indisputable that the Petitioners, HH and GBM have a Right to be heard in Court. The Right to be heard cannot be denied to the Petitioners on account of Time Technicalities. At law time technicalities cannot be used to deny Petitioners Justice. Besides Concourt has no mandate to “dismiss” a properly filed Petition. The Zambian Constitution and Electoral Law is very clear. Concourt can only hear and determine the Petition and then pass a Verdict.Lungu was not declared Winner of the 2016 Election by Concourt and was not given a Validation Certificate to use at the Swearing in ceremony. Lungu was illegally sworn in without a Concourt Validation Certificate and by the Registrar of the High Court. This too is illegal becoz it is only the Chief Justice or her Deputy who can preside at the Swearing Ceremony.Clearly Lungu is not a Democratically, legally and Constitutionally elected President. There is no way HH can recognize a Vote Thief and a Treasonist as a Legitimate President. Lungu is and will remain illegitimate and is in State House illegally.When Lungu leaves Power he will have to answer to these Treason Charges. It is in Lungu’s best interests to negotiate his Legitimacy while still illegally in Power.The writing is on the Wall and Mulandu tauboli!! Let go is the worst kind of behavior, umwana wenu nikabwalala ati iyo effyo aha . Then that child will remain a thief always ,if HH ignores this petition he should as well for get about 2021 elections . For the same thief shall rob him of his victory again. It is hi time the ruling parties changed the thieving syndrome . Should the opposition parties burry their heads in the sand dictatorship woulld destroy the hard earned democracy. The Kenyan Supreme Court (SC) has set a good precedent.It is only the Electoral Court which can legally validate an Election.In Kenya, Foreign Observers prounced the Presidential Election free,fair,credible and transparent. However the SC has declared the Presidential Election Invalid,Null and Void and on that basis a Rerun is being held on 26 October 2017.The lesson from this is very clear.The SC’s Verdict overrides the opinions and verbal validation by the Foreign Election Observers. It follows that until Edgar Lungu is issued with a President Elect Certificate by Concourt he cannot be sworn in as President of Zambia. What Lungu did is irregular and illegal and as such he is an illegitimate President in terms of the Zambian Constitution and Electoral Laws. Lungu has basically carried a Coup against the Zambian Constitution.In time Lungu will be punished for committing Treason.Using the Kenyan Precedent all Foreign Observers who recognized Lungu should suspend their Recognition until the Zambian Concourt hears and determines the 2016 Election Petition and declares him Winner and duly elected President. Without this Concourt Validation Edgar Lungu will remain an illegitimate President and Is illegally in State House.Malandu tauboli! Period. IF THEY WERE NOT SHARING TENDERS AND OTHER RESOURCES, MAYBE THEY WOULD HAVE BEEN FORGIVEN FOR RIGGING. NOW THEY HAVE EXTENDED THEIR CRIMES TO THE TREASURY, WHICH SEEMS TO HAVE BEEN THE MAIN MOTIVATION BECAUSE THEY HAVE SEEN HOW DULL WE ARE. FATHER CHRISTMAS WHY DO YOU ONLY GIVE TENDERS GIFTS TO PF ONLY MEMBERS ONLY.